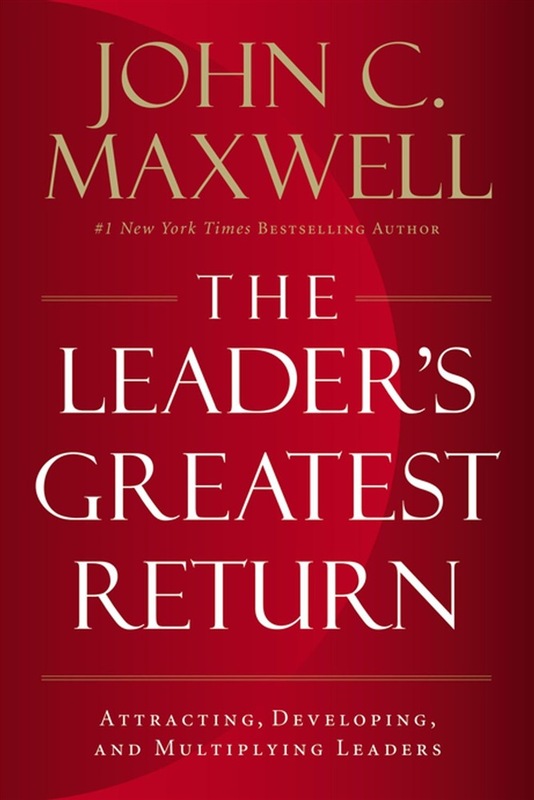 In The Leader’s Greatest Return, Maxwell shares the most important lessons he’s learned about the leadership development process over the last quarter century, from identifying high-potential leaders to coaching leaders to develop others. What is the greatest return on a leader’s time? After leaders have invested in their own leadership growth, what is the best way to accomplish their vision and grow their organizations? Develop leaders! The more leaders an organization has and the better equipped they are to lead, the more successful the organization and all of its leaders. Number one New York Times bestselling author John C. Maxwell is often identified as the most influential leadership expert in the world. In the last twenty-five years, he has grown from equipping a handful of leaders in one organization to developing millions of business, government, and nonprofit leaders in every country around the world. In The Leader’s Greatest Return, Maxwell shares the most important lessons he’s learned about the leadership development process over the last quarter century. He instructs readers in how to Know what potential leaders look like Attract leaders by creating a leadership table Work themselves out of a job by equipping and empowering leaders Position leaders to build a winning team Coach leaders to higher levels and make them leadership developers themselves This is where leaders really experience the compounding value of developing leaders and go to the highest levels of leadership themselves. Anyone who wants to take the next step in their leadership, build their organization or team today, and create their legacy for tomorrow needs to read The Leader’s Greatest Return. 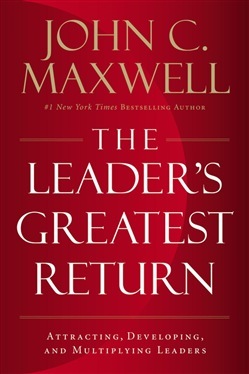 Acquista The Leader's Greatest Return in Epub: dopo aver letto l’ebook The Leader's Greatest Return di John C Maxwell ti invitiamo a lasciarci una Recensione qui sotto: sarà utile agli utenti che non abbiano ancora letto questo libro e che vogliano avere delle opinioni altrui. L’opinione su di un libro è molto soggettiva e per questo leggere eventuali recensioni negative non ci dovrà frenare dall’acquisto, anzi dovrà spingerci ad acquistare il libro in fretta per poter dire la nostra ed eventualmente smentire quanto commentato da altri, contribuendo ad arricchire più possibile i commenti e dare sempre più spunti di confronto al pubblico online.